Unparalleled timeless design paired with priceless sunrise and sunset views give you a solid investment for generations to come. You will appreciate the workmanship throughout that boasts quality and tranquility in every little detail. 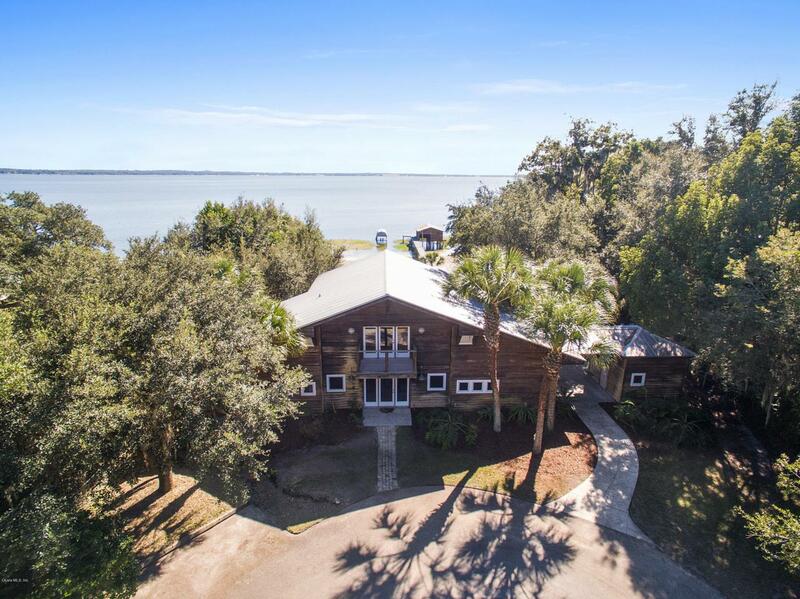 Here you will find the perfect escape to make memories and enjoy lake living. The exterior Cedar siding and metal roof are only the beginning. 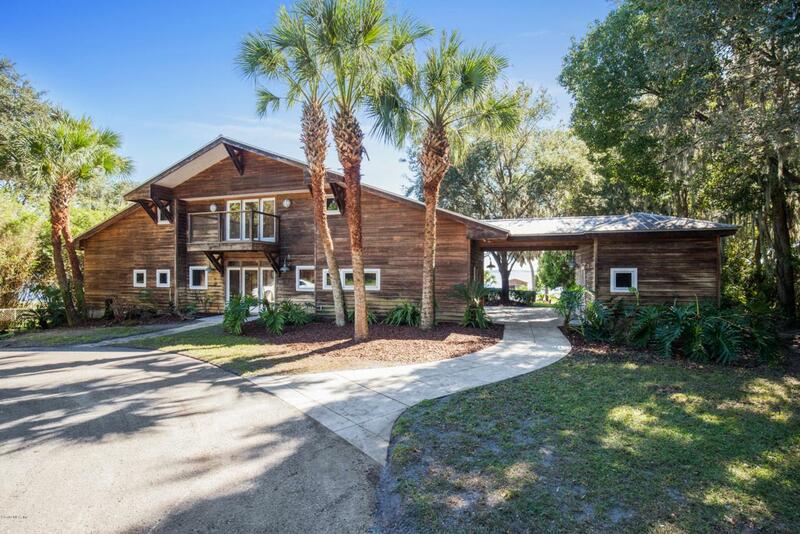 Large windows low and high let in plenty of natural light while showing off the beautiful view of Lake Weir, and the gorgeous walls and soaring ceiling both covered with light wood add to the brightness of the home. A simple kitchen with all of the amenities makes for easy care and more time relaxing, with room for several cooks. Connected is a covered breezeway spacious enough for many to grill and gather whileenjoying the lake view, as well as a roomy screened porch for lake view dining. The rear wrap around composite deck also allows for great water views, sunbathing, and stargazing. The outside bathhouse has heat and AC, and is a welcomed convenience with a full bathroom and 2 changing rooms. Your white sandy beach has plenty of room for lounge chairs at the shore, volleyball, campfires, and s'more! A composite wood dock leads to a large sitting area perfect for coffee sunrises and peaceful sunsets. The boathouse includes 2 lifts and a storage room for skis, boards, and tubes. You have a 3rd boat lift that is covered for 3 lifts total. The home's upstairs loft with 1/2 bath has enough room for many overnight guests and includes a balcony. There are many low maintenance features, some include: Cedar siding is weather resistant, energy efficient, repels insects, resists rot, and can last the life of the home. Concrete floors are durable, water resistant, and long lasting. Composite wood deck and dock have a long life span, will never splinter, resists rot and UV rays, and virtually maintenance free. Metal roof. Lake Weir is 5700+/- acres with 2 restaurants. Popular for boating, skiing, fishing, paddle boarding, and more. This would make a great VRBO or Airbnb rental when not owner occupied. No HOA and close to town, on the north shore. 2nd bedroom is the loft. Furnishings could be included. Listing provided courtesy of Penny Terry of Keller Williams Cornerstone Real Estate.